A hack is just a great idea that comes to life. 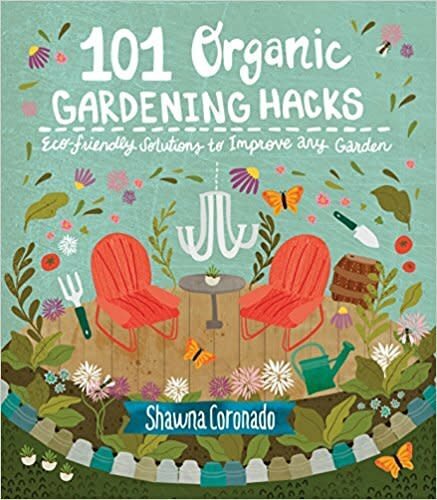 in 101 Organic Gardening Hacks, you'll find the top tips, tricks, and solutions unearthed by Shawna Coronado, America's most creative home gardener. Some are practical time-savers; others offer clever ways to "up-cycle" everyday items in your garden. One characteristic every hack in this clever new book shares, however, is that each is completely organic and unfailingly environmentally friendly. If you are looking for resourceful ways to improve your garden and promote gree-living values right at home, you'll love paging through this practical, friendly book.